Houston Waste Management, Inc. (NYSE: WM) today announced that James C. Fish, Jr., currently Senior Vice President of the Eastern Group, will become Executive Vice President and Chief Financial Officer upon completion of financial reporting for the second quarter. Mr. Fish will succeed Steven C. Preston, the company’s principal financial officer, following Mr. Preston’s decision to pursue chief executive officer opportunities. Mr. Preston is expected to remain with the company through the third quarter to ensure an orderly transition. Mr. Fish joined Waste Management in 2001 as Director of Financial Planning and Analysis. Two years later, he was promoted to Vice President of Price Management managing the company’s pricing programs. He then moved into field operations as a Vice President, first managing the Rhode Island/Southern Massachusetts market area, then managing the larger Western Pennsylvania/West Virginia market area, and finally managing the expanded Pennsylvania/West Virginia market area. In 2011, he was promoted to Senior Vice President of the Eastern Group, which had over $3.1 billion in revenue in 2011. Mr. Fish earned a Bachelor of Science degree in accounting from Arizona State University and a MBA in finance from the University of Chicago. He is also a Certified Public Accountant. Prior to joining Waste Management, Mr. Fish held finance or revenue management positions at Westex, a Yellow-Roadway subsidiary; Trans World Airlines; and America West Airlines. He began his professional career at KPMG Peat Marwick. 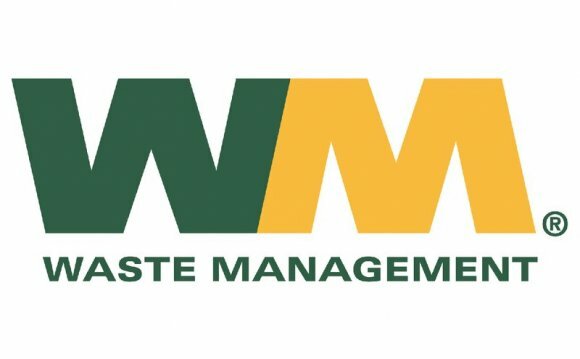 Waste Management also announced that it has scheduled a shareholder-analyst conference call on Thursday, July 5, 2012 at 10:00 a.m. Eastern Time to introduce Mr. Fish and to allow Mr. Preston to discuss his decision and the transition plan. Where: A live audio webcast of the conference call can be accessed by logging onto and selecting “Events and Presentations” in the Investor Relations section of our website. You may also listen to the analyst conference call by telephone by contacting the conference call operator 5-10 minutes prior to the scheduled start time and asking for the “Waste Management Conference Call – Call ID 97433084.” US/Canada Dial-In #: (877) 710-6139. Int'l/Local Dial-In #: (706) 643-7398. Participation will be in listen-only mode. Replay: A replay of the call will be available beginning at approximately 1:00 p.m. ET July 5 through 5:00 p.m. ET on July 26. To hear a replay of the call over the Internet, access Waste Management’s website at To hear a telephonic replay of the call, dial (855) 859-2056 or (404) 537-3406 and enter conference code 97433084. This press release contains forward-looking statements as defined in the Private Securities Litigation Reform Act of 1995. Forward-looking statements are information of a non-historical nature or which relate to future events and are subject to risks and uncertainties. In many cases, you can identify forward-looking statements by terminology such as “may, ” “will, ” “should, ” “expects, ” “plans, ” “anticipates, ” “believes, ” “estimates, ” “predicts, ” “potential, ” or “continue, ” or the negative of these terms and other comparable terminology. These statements are only predictions. Actual results could differ materially from those anticipated in these forward-looking statements as a result of a number of factors. The forward-looking statements made in this press release relate only to events as of the date of this release. We undertake no ongoing obligation to update these statements.